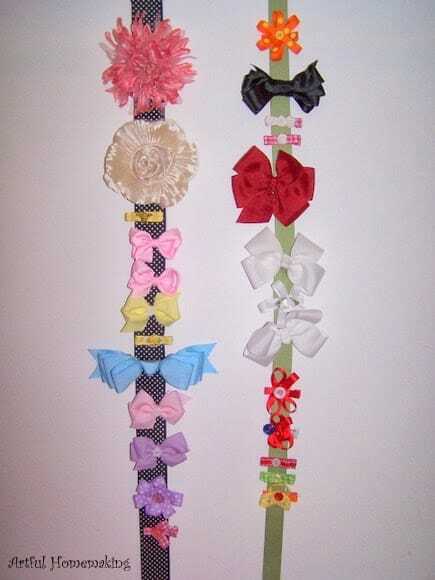 Here is a simple and effective way to keep all your hair clips and bows organized and prevent them from getting messed up. My aunt gave me the black and white dot ribbon years ago, and I’ve kept it carefully tucked away in my ribbon stash all these years. I decided this was the perfect use for it, as it was nice and very wide.